The central computer is damaged. Who will be the first to guide the repair robot to the damaged areas? 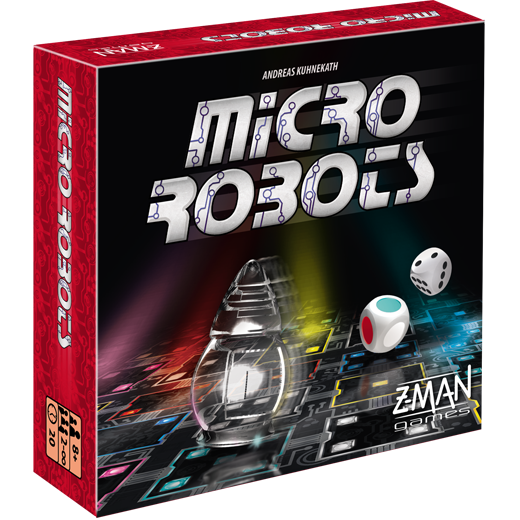 Micro Robots is a quick, engaging game of simultaneous play that challenges as many players as you can fit around the table to determine a robot's movement from one spot to another. 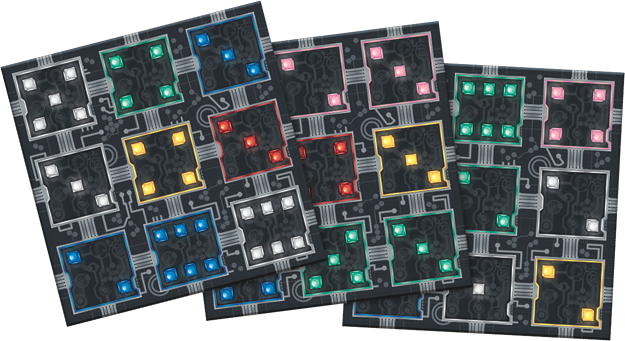 The action takes place on a 6x6 grid, with each square corresponding to a number one through six and matching one of six colors. Players compete to be the first to determine how to move the robot to a target space and how many steps this process will take. 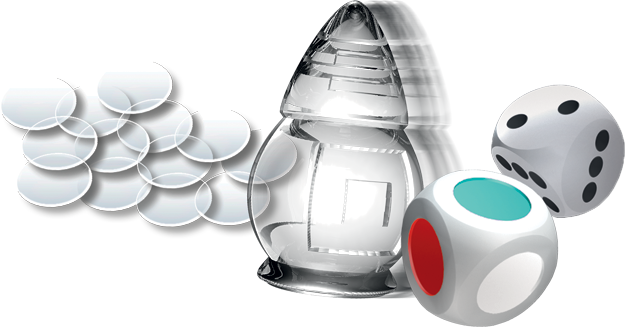 These efforts require adhering to two major rules concerning movement: First, the robot can only move across the gird horizontally or vertically. Second, the robot can move only to a space that matches either the color or the number of its current location. 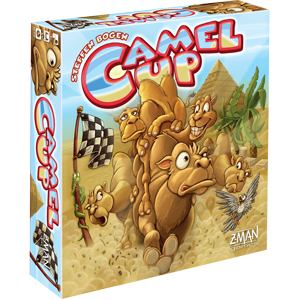 The first player to correctly determine five times how to reach the target space and how many moves it will take is declared the winner. 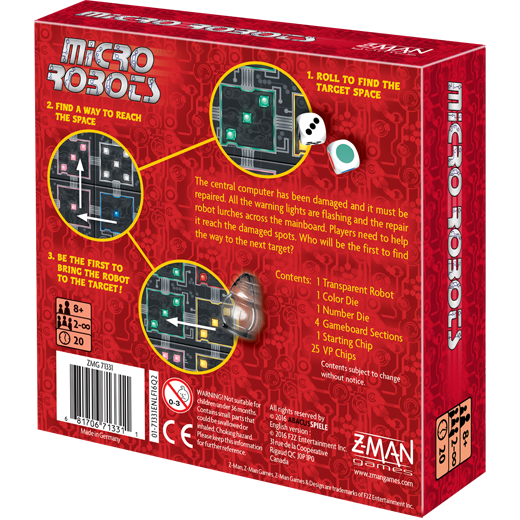 Once you’ve mastered the basics of Micro Robots, you can add even more variety in several ways. 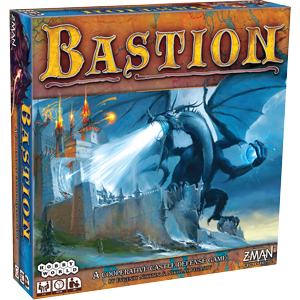 The game board itself is double-sided, with each side presenting its own unique challenges. 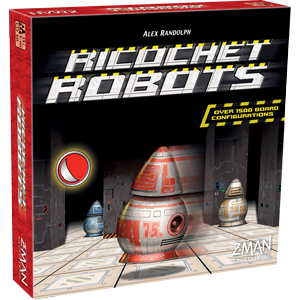 Additionally, the rules include a variant for expert players, where the robot is required to pass through a specific intermediate space on its route to the target space. 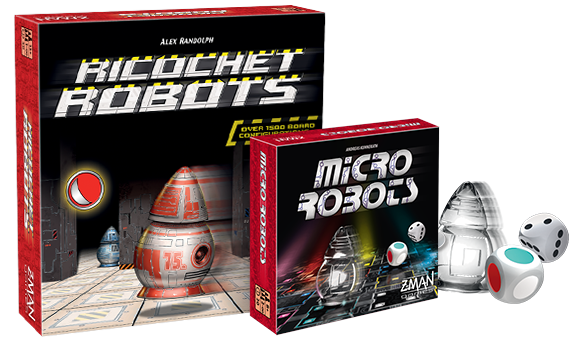 Put all your skills to the test in this game inspired by the Alex Randolph’s classic Ricochet Robots.